The Durango Downtown Inn is just one block off of well known Main Street. Conveniently located, our hotel offers guests easy access to area shopping, various dining outlets and unique art galleries. 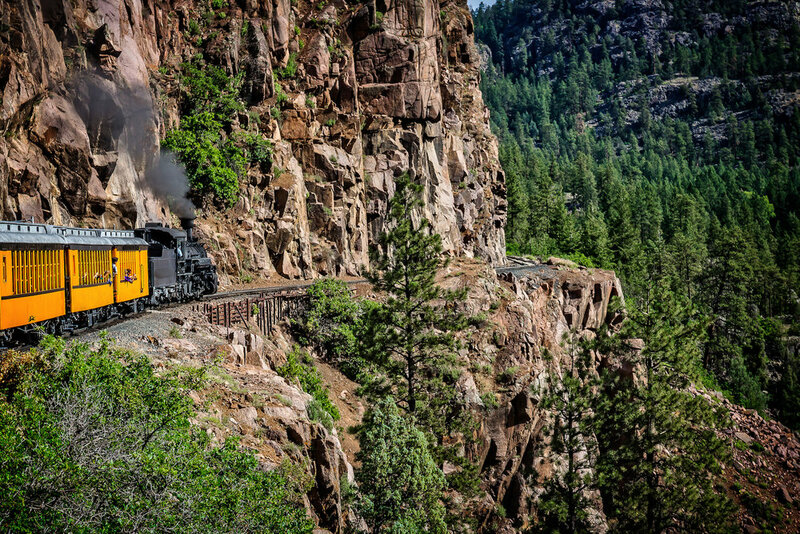 The world famous Durango Silverton Narrow Gauge Railroad is within walking distance located just 5 short blocks from the hotel. The beautiful Animas River flows behind the hotel giving guests wonderful scenery. Guests can also utilize the river grounds for a 3 mile walk along the majestic river. Our indoor pool, Jacuzzi, and fitness center are sure to help you relax and recharge, and with our newly renovated rooms complete with plush carpeting you'll feel right at home. The Applebees Neighborhood Grill and Bar offers dining choices for lunch and dinner. Durango Downtown Inn is happy to be pet-friendly. We accept well-mannered dogs for a nightly fee of $25. Room type and location restrictions may apply, and guests are responsible for any property damage inadvertently caused by their dogs.